Jackson Hole, Wyoming is an ideal vacation destination for outdoor enthusiasts, wildlife lovers, equestrians, and families who enjoy the outdoors. The area boasts three ski areas and is surrounded by the magnificent scenery of the Grand Teton and Yellowstone National Parks. During the summer months, you can pursue just about every outdoor activity you can think of. The National Museum of Wildlife Art in Jackson is a must-see attraction for both nature lovers and art enthusiasts. The museum is spread across 14 galleries and includes a sculpture trail, a library, the Children’s Discovery Gallery, and a museum shop. 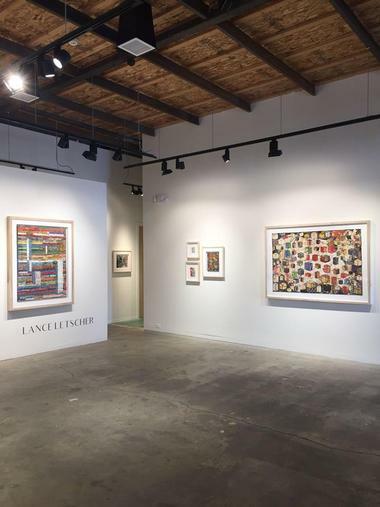 Besides the museum’s permanent collection, which numbers over 5,000 individual items by more than 100 artists, the museum also presents a succession of temporary visiting exhibitions. 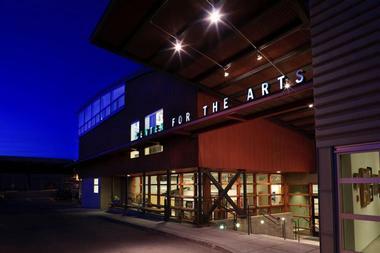 In addition, the museum hosts a series of art events aimed at educating the public about wildlife art and getting people to participate in hands-on workshops. Young visitors can have hours of fun in the Children’s Discovery Gallery, where they can enjoy the reading nook, animal costumes, puppet show, and more. If you would like to explore the natural bounty of the Jackson Hole valley and the surrounding National Parks in an eco-friendly way, Jackson Hole Eco Tour Adventures has the answer. The company offers a variety of wildlife viewing adventures (where you can concentrate of the wildlife instead of the driving) in both Yellowstone National Park and Grand Teton National Park. You can choose from half-day to multi-day adventures led by guides who know the area intimately and can take you far from the tourist crowds for exceptional wildlife viewing and photography. Tours operate all year round and can be customized to suit you and your family. While you are vacationing in Jackson Hole, you are invited to visit the area’s only craft distillery, the Jackson Hole Still Works. The distillery is proud to produce their signature vodka, gin and whiskey on site, using only locally sourced ingredients and the superb mountain water, which has originated at high altitude in the Teton Range and Yellowstone National Parks. The distillery is privately owned and managed and every step of the “grain-to-glass” production process is controlled by the owners/distillers, who strive to produce a superior product. The spirits are then bottled on site in uniquely decorated bottles that feature work by local artists. Visitors are welcome to come on a tour or have a tasting. The National Elk Refuge provides a sanctuary for the Jackson Elk Herd, while protecting their habitat and providing a home for other endangered species including bison, bald eagles, trumpeter swans, and wolves. 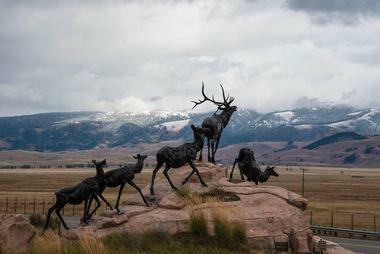 The significant Jackson Elk Herd is thought to number approximately 11,000 animals, which migrate across a substantial swathe of land in Jackson Hole and the greater Yellowstone ecosystem. To get an overview of the refuge, you can start your visit at the interagency visitors center, where the enthusiastic staff will inform you about seasonal activities. In winter you can get up close to the elk on a sleigh ride, while in summer you can follow a trail on foot or by bicycle. 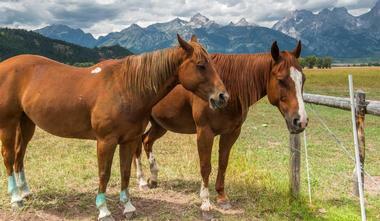 Grand Teton National Park is the ideal getaway destination for outdoor enthusiasts and nature lovers. Here, you can choose from over 230 miles of hiking trails, get moving on two wheels along the multi-use paved trails, or simply enjoy the remarkable mountain scenery on a scenic drive through the park. In summer you can take to the waters of the Snake River or one of several lakes for a canoeing or kayaking adventure, go mountaineering and backcountry camping, or enjoy casting a line to catch a fish or two. In winter the emphasis changes to cross-country skiing and snowshoeing. The park offers several ranger-led activities and you can spend an hour or two getting your bearings at one of the visitors centers, which offer orientation videos. 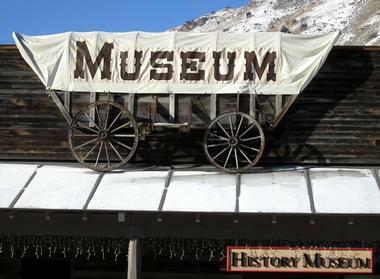 If you are visiting Jackson Hole with the family, the Jackson Hole Children’s Museum is a must-see attraction. 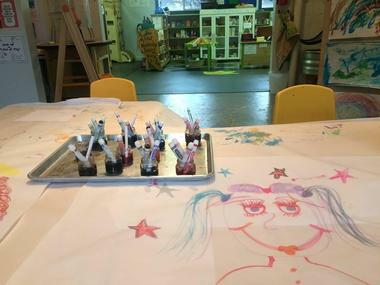 The museum is committed to providing a safe and stimulating environment for children (and adults) to learn through role-play and interactive exhibits showcasing science and the arts. Your little one can be a pilot or air-hostess, drive a truck, learn about the origins of food at the Mountain Market exhibit, or have hours of fun at the magnet wall. In addition, there are lots of opportunities to just play – The Climber and Imagination Playground are great for active children, while the Tot Spot is ideal for the youngest adventurers. Joining a Wildlife Discovery Expedition with Tetons Science Schools is the ideal way to broaden your knowledge of the unique flora and fauna of Grand Teton National Park. You can choose how long you would like to spend on your wildlife expedition – TSS offers half-day, full-day, and even multi-day adventures throughout the year. Your expedition will be led by an expert nature guide who knows just where to take you to find even the most elusive wildlife in the park. You can reasonably expect to get some good sightings of bison, elk, moose, big-horn sheep, bears, eagles, and a host of other interesting Teton Range wildlife. The Jackson Hole Winery is family owned and run and is located alongside Spring Creek in one of the most scenic parts of Jackson Hole. 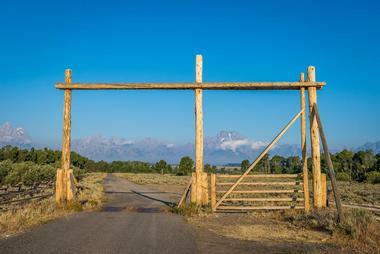 Offering sweeping views of Grand Teton, the winery offers wine tastings throughout the year. In summer you can sit outside on the patio or in the old barn, while in winter the tastings are held in the barrel room. Most of the grapes used to make the award-winning wines produced on the estate are sourced in the Sonoma Valley and then crafted to perfection by the experienced winemaker at the winery. Book your wine tasting in advance by visiting the website. 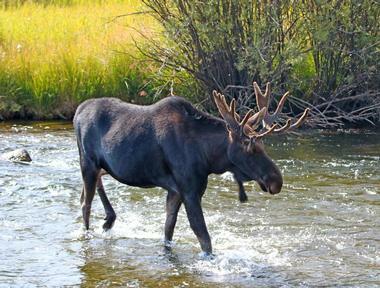 If you are looking to have some fun during your visit to Jackson Hole, Mad River Boat Trips are waiting to provide it. Depending on how adventurous you are, you can choose a pulse-racing whitewater rafting experience or opt for a scenic float along the river to see a variety of wildlife and some marvelous scenery. Mad River Boat Trips use boats that are smaller than usual for their whitewater rafting adventures, ensuring the ride of a lifetime for adventurous rafters, who will explore an exciting stretch of rapids on the Snake River under the guidance of an experienced whitewater expert. Families and more cautious visitors can enjoy a relaxing float along a very scenic 13-mile stretch of calm water. 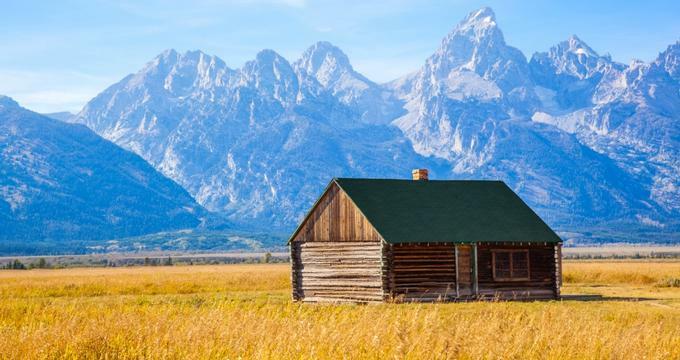 Imagine spending your vacation on an authentic Jackson Hole dude ranch, surrounded by the amazing scenery of the Jackson Hole valley, the Teton Range, and the Yellowstone National Park. 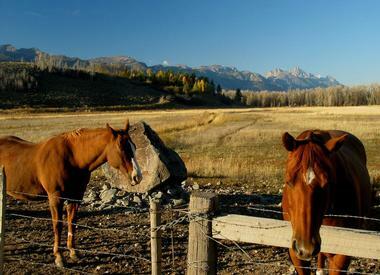 The Red Rock Dude Ranch has been offering visitors a genuine dude ranch experience for over 40 years. You will never have a dull moment at the ranch and can try a variety of activities including exploring scenic hiking trails and horseback riding. 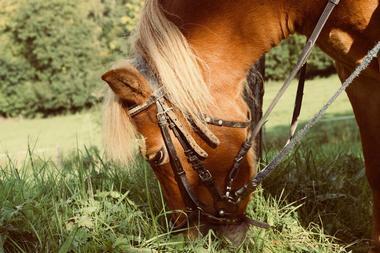 Even if you have never been in the saddle before, the experienced wranglers will saddle you up with a suitable mount so that you can enjoy this activity to the full. Anglers will enjoy casting a line in Crystal Creek to catch a trout – fly-fishing lessons are available for beginners. Step back in time to the great pioneering days of the Wild West as you set off to enjoy a cook-out in a horse-drawn covered wagon. Your adventure begins in Jackson town, where you will board your wagon for the trip out of town and into the scenic Cache Creek Canyon. As you arrive at your destination, you can expect to be beckoned by the wonderful aromas of fresh-baked breads and other delicacies. 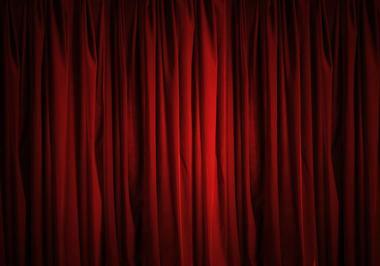 After dinner you will be entertained by the Bar-T-5 Band – look forward to plenty of hand-clapping and foot-stomping. The cook-out is great entertainment for the whole family. If you have always dreamt of experiencing a bird’s-eye view of Earth from a hot air balloon, Elevated Ballooning in Jackson Hole can make you wish come true. The beautiful valley of Jackson Hole offers an ideal location to experience the adventure of a scenic hot air balloon excursion, and Elevated Ballooning can even arrange for a private couple’s flight – the ideal romantic setting for a proposal, anniversary, or exchange of vows. You will need an early night to prepare for your flight, which traditionally sets off just before sunrise. The views of the surrounding mountains and national parks are amazing, and you may be lucky enough to drift silently over herds of elk and other animals. You can celebrate your inner cowboy at the authentic Gros Ventre River Ranch in scenic Jackson Hole, where a variety of dude ranch activities await you. A vacation at the ranch is perfect for all ages – children will enjoy the freedom to experience Mother Nature at her best while learning how to ride a horse, catch a trout, and enjoy a traditional cook-out. As befits a dude ranch, there is an emphasis on equestrian activities and the ranch has a horse to suit all levels of riding competence. 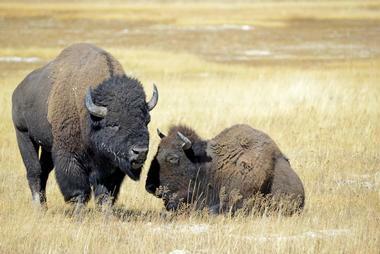 For a change of pace, you can easily visit wonderful Yellowstone National Park on a day trip. A variety of accommodation options include log cabins, lodges, and family homesteads. 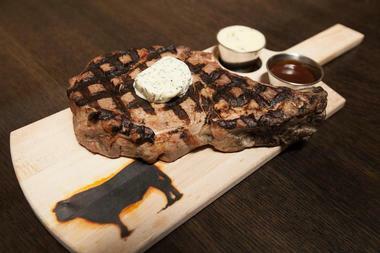 Although Jackson Hole is probably best known for offering a wide variety of outdoor activities for sporting enthusiasts, foodies have not been neglected. A Jackson Hole Food Tour is an ideal way to get an overview of the exciting food scene in the town. The walking food tours take around 3 hours and you can expect to visit some of the best local restaurants as well as learn about the history and culture of Jackson in a fun way. If you have never experienced delicacies like elk, buffalo, or Wyomatoe, now is your chance to taste without committing to an entire meal. You will also get to meet some of the chefs and find out where the locals go for the best food and drinks in town. 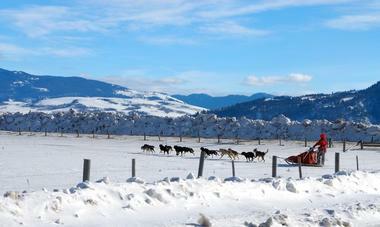 For an unforgettable experience, you can try your hand at driving an energetic team of Alaskan racing sled dogs as you travel across the snow-covered valley of Jackson Hole to Granite Hot Springs. Of course, if you would rather just sit back and enjoy the ride, you can leave it all to your experienced musher/guide, who will point out places of interest and wildlife along the way. The company offers both full-day and half-day adventures from around the end of November to early April and places are extremely limited, so you need to book well in advance. Full day excursions include lunch and the chance to swim in the warm waters of Granite Hot Springs. Since 1921, four generations of the Wheeldon family have been showing visitors how to hunt, fish, horse-ride, and camp at the Mill Iron Ranch. The ranch is proud to offer some excellent horseback riding trails on horses that have been born and bred on the ranch – there are mounts suitable for all levels of riding expertise and even beginners will soon be enjoying their time in the saddle. 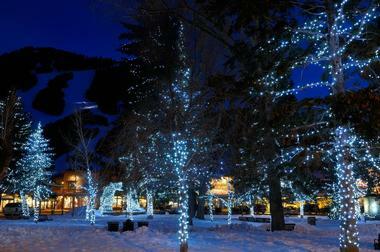 You can go on short 2-hour rides, longer 4-hour rides, or full-day excursions into the beautiful Jackson Hole scenery. After a busy day of huntin’, fishin’, and ridin’, you can round off your dude ranch experience with a lively barn dance and dinner. Surrounded by Grand Teton National Park about 26 miles north of Jackson, the Moosehead Ranch offers idyllic back-to-nature family vacations. As is the case with most Jackson Hole dude ranches, the emphasis is on horseback riding, and you can choose to spend a couple of hours or a full day in the saddle accompanied by a wrangler who will allow you to enjoy the magnificent scenery at a comfortable pace. If you don’t feel like riding, you can cast a line in one of the stocked fishing ponds – the ranch has all the equipment you need and will also be happy to teach novices. More experienced anglers can try fly-fishing on the nearby Snake River. You can easily visit Yellowstone National Park or Jackson town on a day trip before returning to Moosehead Ranch for a gourmet meal. It would be a great shame to leave Jackson Hole without visiting nearby Yellowstone National Park for a paddling adventure. O.A.R.S. Yellowstone Tours have been taking visitors deep into the heart of Grand Teton and Yellowstone Parks for nearly 30 years and are the only outfitter with a permit for overnight paddling excursions on Jackson Lake. You can expect to see all the must-sees without the crowds and to enjoy the privilege of camping in pristine lakeside campsites if you choose an overnight excursion. The whole family can enjoy seeing the geothermal wonders of Yellowstone Park on one of the popular half-day kayak tours on Yellowstone Lake. 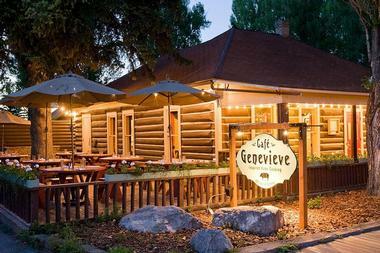 Cafe Genevieve is one of Jackson Hole's top-ranked restaurants, named as a top neighborhood gem and foodie destination with excellent service by OpenTable's Diner's Choice awards. The restaurant, which is housed within a National Register of Historic Places-listed rustic log cabin that is one of the city's only remaining Town Square historic structures, serves up delicious seasonal fare for breakfast, lunch, and dinner daily. Southern-influenced comfort fare options include elk sirloin, fried bologna sandwiches, and red curry baby-back ribs, with homestyle favorites such as eggs Benedict, eggs and grits, and fried chicken and waffles available at brunch. The restaurant's signature Pig Candy candied bacon is also available as an appetizer or topping several entrees. You can take a step back in time and find out what life was like for the pioneer American West settlers as you retrace their steps along the covered-wagon trail in the heart of the Targhee National Forest. Located between Yellowstone National Park and Grand Teton National Park, you will be surrounded by some of the best scenery in the West. 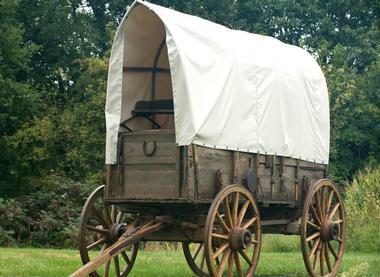 Your covered wagon is a more comfortable version of the old-time wagons, complete with padded seats and real tires, and you will spend your evenings singing around the campfire with your cowboy guides before retiring to your comfortable tent. There are plenty of activities to keep you busy at the campsites, including hiking, swimming, canoeing, and horseback trail rides. Next time you are in Jackson Hole you should consider going on a unique and unforgettable experience as you head into Yellowstone National Park or Grand Teton National Park on a llama trekking adventure. 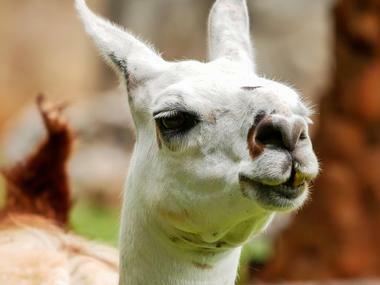 Treks range from 3 to 6 days and you will be able to experience areas that are normally off-limits to other hikers as you set off on foot with a friendly llama to carry your equipment. Expect excellent wildlife sightings and backcountry thermal features including mud pots, hot springs, and geysers. Besides Yellowstone National Park, Wildland Llamas offer several other excursions in and around the valley. BrushBuck Wildlife Tours is a veteran-owned international outfitter that offers wildlife tours in several parts of the world, including Grand Teton National Park and Yellowstone National Park. The company is family owned and the guides are all passionate about wildlife and the Great Outdoors and are devoted to sharing their extensive knowledge and enthusiasm with visitors. You can choose from a variety of year-round wildlife tours in the Grand Teton and Yellowstone National Parks, ranging from half-day and full-day guided tours to multi-day wildlife extravaganzas. If you are visiting in summer, you have the option to include a whitewater rafting adventure, while winter tours could include a sleigh ride. 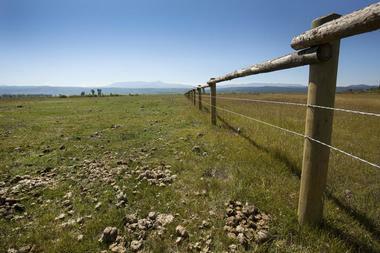 At the Goosewing Ranch you can experience a genuine Jackson Hole dude ranch vacation without giving up modern necessities like TV and internet access. Equestrians and aspirant horseback riders will have the time of their life exploring the beautiful landscape of Jackson Hole on horseback – there is a wide variety of wildlife to observe along the way and you will be surrounded by some of the best landscape in the area. In addition to horseback riding, you can go hiking and fishing, try your hand at archery, or go on a horse-drawn wagon to feed the horses. Most guests opt to spend their afternoons relaxing beside the heated outdoor swimming pool or enjoying the hot-tub before sunset drinks and a delicious dinner. 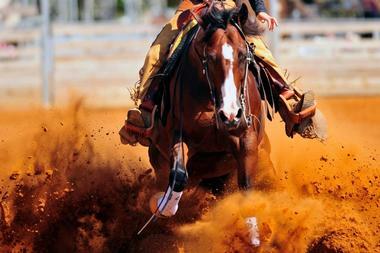 From mid-June to September, the ranch also offers an action-packed children’s program. The Snake River Brewery has been keeping beer aficionados happy since 1994, and all the beers you can sample have been hand-crafted on site. The brewpub is located in an old warehouse, where industrial elements like exposed metal beams add to the atmosphere. The artisan beers have won several awards and the brewery has twice been named as Small Brewery of the Year, against significant country-wide competition. If you would like to find out more about the brewing process (and why all the beers are presented in tins instead of glasses), you can join one of the twice-weekly tours on a Tuesday or Thursday at 2.30pm. The brewpub serves a selection of delectable meals to accompany your favorite beer.